What conditions does Marcaine 0.25 % (2.5 Mg/Ml) Injection Solution treat? List Marcaine 0.25 % (2.5 Mg/Ml) Injection Solution side effects by likelihood and severity. 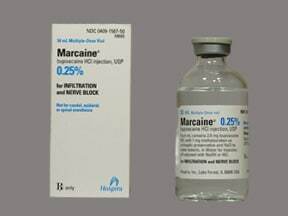 Are you taking Marcaine 0.25 % (2.5 Mg/Ml) Injection Solution? Are you considering switching to Marcaine 0.25 % (2.5 Mg/Ml) Injection Solution? 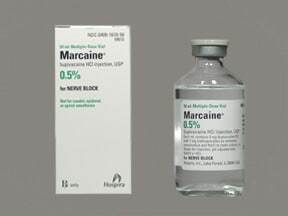 How long have you been taking Marcaine 0.25 % (2.5 Mg/Ml) Injection Solution?